Order Cebu modular office furniture now! 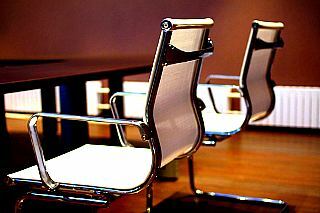 That's why providing the right office furniture to your company is necessary. Now, the following are companies that manufacture Cebu modular office furniture. Pacific Traders began its venture in 1973 as exporter of rattan poles. Realizing the potential of the material itself, the founders (Hugo & Gorgonia Streegan) began manufacturing rattan furniture for export in 1976. Today, the company is proud of its diverse product line: woodline, rattan & wicker, metal works, and accessories. It's products offer from formal classic designs to the casual contemporary ones. Established in 1986, Cebu Fil Veneer is one of the pioneers in veneer (a thin layer of wood) industry in the Philippines. It's the founding company of veneering industry in the Mactan Economic Zone (MEZ). Cebu Fil Veneer abides itself to the stringent European environmental policies in terms of material use and the processes involved in the production. It claims to be the pioneer in utilizing "totally green" materials, such as bamboo and palm innovatively since 2000. Since that year, the firm has been using the fast growing, readily available, and farmable trees to promote the use of sustainable and renewable resource materials. Cebu Fil Veneer accommodates hotel contract, restaurants and interiors projects. The company started with a workforce of 30 in 1978 to 300 at present. The continuing confidence and satisfaction of its customers largely expanded its facilities and modernized its operations. The company's product line started from buri to wood furniture in combination with indigenous resource materials. Now that you have seen a Cebu modular office furniture maker yet, you may proceed to contact them directly for proper business transaction! FIND more companies that can create your modular office furniture through the link below this page - "Return to Furniture..."
Have fun & enjoy searching your modular furniture!